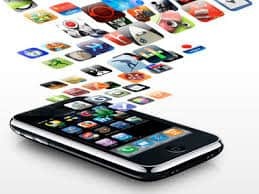 Creating mobile apps for your home business need a comprehensive planning and marketing strategy to become successful. It involves more than just using different forms of mobile gadgets and running series of applications and operating systems. It includes marketing campaigns and excellent services to attract more potential customers and keep your good customers. Here, we are giving you some helpful tips and information for those who are planning to have a home business using mobile apps for your home business. Worst scenarios in a company or any home-based business are when they do not have a system to organise and monitor their records and when there is no or lack of money that comes in. This kind of businesses may, in time, tend to become bankrupt. In generation where there is so much advance technology going on, a functional and effective mobile application is a great help in running your business. For payment transactions, try to consider ZNAP installed in your mobile phone or tablet for providing you a point of sale or POS system. It is ideal for home-based business utilising the merchant web station purposes. Intuit Pay is similar to ZNAP which permits payment transactions using a card reader which is attached to your mobile phone through Bluetooth connections. There are many applications to help you in handling your customers’ payment transactions and provide them invoices. FreeAgent provides your customers with an Invoice-o-matic, therefore, you send them bills. Xero does more than invoicing tasks. It is considered as “complete accounting system” in mobile application form. There is the Quickbook system that runs through cloud and on mobile gadgets. Whether your business is a huge company or home-based one, an organised customer database is a requirement. If you are looking for an application solution that handles database in a friendly matter and runs through most of the forms of mobile gadgets or smartphones or tabs, try the Bento apps. It has the capability to organise your contacts, clients, and customers and monitor your business projects. It can also print QR codes and tags. Take note that placing data and information into your mobile phone or tablet can be difficult. Scanbizard system is ideal when you are using a smartphone with a camera because this system will provide details into the database of your mobile device and synchronises with other mobile gadgets. The downside, however, occurs when the card layouts are far from the standards that you may have to edit the data to be precise. To have a mobile printing application can make your home-based business more convenient. Consider Kyocera or Canon mobile print app solution which will make all forms of mobile devices compatible. Epson provides the same function without additional software before you can download the system. New technology makes it possible now to promote your business through mobile gadgets with the help of an adapter and projector on the customer’s website. Placing a flight mode to avoid the tendency to ring in the middle is a good idea. You can initially write your presentation in a PowerPoint on your desktop but you may incline to lose some formatting if you convert it to the Keynote version of iPhone. Consider the Slideshark which has the ability to convert your presentation into its format and keep them in the cloud where you can recover them any time and wherever you are. During the presentation, it has also the capability to show your notes and advises you on how long you have been presenting without your viewers seeing it. PresentTimer gives you three alarms and shows you the time in a colorful manner, depending on how near you are on the end presentation. And of course, there is the helpful assistant called Siri. Is there something or some place you do not know? Try asking Siri who utilises advanced voice recognition software to provide you with the information you need. With her, you can have weather news, sends Twitter messages, and check on some flight status or set some important reminders. They call Siri as the digital-assisted bliss. There’s more! Think of a task that can help you run your business easier yet effectively and giving your customers the convenience they need. Apptiv Digital has well-trained and experienced team of mobile apps developers who can help you in the process of determining, developing, and training your team to manage your mobile apps development business.